One night a few days ago, around 2 am, half-asleep, I became convinced that it would be intellectually fruitful to contrast Mad Max: Fury Road with the Sopranos. Now, fully awake, I’m not sure there’s any connection between the two except that I watched them both this past week. But by looking for excuses to compare them I found a rather good one – a parallel between two scenes that seem, on the face of it, somewhat unremarkable. Joe might be described as half medical nightmare, half despot. He rules over a clan of withered peasants and psychotic warrior boys, whom he’s fed a makeshift religious mythos that he’s at the center of. IMDB.com estimates that Bartholomew’s Song cost $2,500, a figure that’s been rattling around in my head while I’ve been thinking how damn good it is. The short is only about 10 minutes long, but the directors, Lowell Frank and Destin Daniel Cretton, have made a virtue out of a low budget and a brief run time. B.’s Song takes place in a dystopia where workers sleep in cell-like rooms and assemble little cubic things at an absurdly slow rate. Life for Bartholomew 467 and his fellow Bartholomews (it seems that every man is named Bartholomew) is monotonous and comically repetitive, but their blank faces suggest that this isn’t generally a problem. This is a good world to set a cheap short in, because that basic premise can be established in only six static shots that begin Song. The simplicity of the shots echoes the mechanical, modular quality of the Bartholomews’ world, where everything is as discreet and functional as the cogs of a pocket watch. I watched Equilibrium again the other day. Equilibrium is one of those movies that relies on tropes so much that it’s hard to even effectively evaluate how well it sets up its premise. In this case, it’s a fascist dystopia thing, which you quickly get from the glares of the authority figures and the persecution of seemingly random people. The idea is that a great war destroyed civilization in the past, and the survivors identified emotion as the primary cause of war and death, so feelings have been outlawed, along with all sorts of emotion-inciting art like the Mona Lisa. The city where (apparently) everyone lives is exactly the kind of cold metallic place you’d expect of a dystopia, and the palette of the city and the movie is the color of drab. For reasons never really explained, uniformed mini-fascist children stand around public thoroughfares picking out over-emotive pedestrians for prosecution. 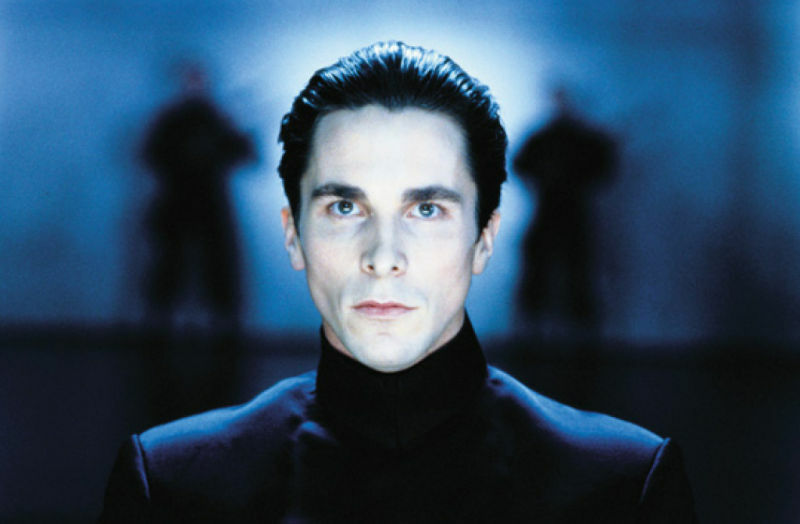 The ranking enforcers of the no-emotion regime are called “clerics.” One of their best is Preston, played by Christian Bale. You already know where this is going, right? Preston discovers that, after all, emotions are pretty important.